Get Liposuction of chin free of charges along with Liposuction of abdomen. Pay for Liposuction of Gynecomastia (chest ) & get free of charges Liposuction of belly. Pay for Liposuction of Thighs & get Liposuction of Buttocks free of charges. Pay for two sitting of Dermaroller & get the 3rd sitting free. Pay for Skin Polishing of Face & get Neck Polishing free. pay for two sitting of Skin Pollishing-Microdermabrasion & get 3rd sitting free. After any Cosmetic Surgery worth more than forty thousand rupees & get special Skin Care Tips Free. 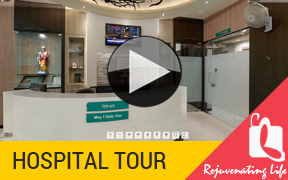 Get Hair Transplant Surgery & will get Cyclical Hair Therapy Advise free of charges. Pay for Laser Removal of two moles & get free Laser Surgery for Third mole. Pay only for Liposuction of Abdomen & get Arms Liposuction free of charges. Pay for one Scar Revision & get Another Scar Surgery Free of Charges. Pay for Vaginal tightening Surgery & get Hymenoplasty or Labioplasty surgery free.